Our skin makes Vitamin D when it is exposed to sunlight. It is also found in a small number of foods such as oily fish, red meat, and egg yolks, and it is added artificially to some margarines and cereals. Vitamin D is essential for the creation of healthy teeth and bones as it helps our body absorb calcium. It also helps you fight infections. 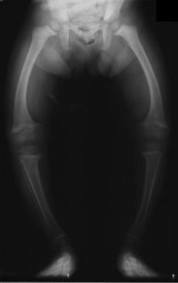 A lack of vitamin D causes a bone disorder known as rickets. Women who are pregnant or breastfeeding are advised to take a 10μg (microgram) Vitamin D supplement daily for the duration of the pregnancy/breastfeeding. This advice remains the same for women with a BMI of 30 or more, though it is recommended that health professionals take particular care to check that bigger women are aware of the advice. Studies have shown that obese women and their babies are at greater risk of vitamin D deficiency. A British study showed that about a third (36%) of pregnant women of normal weight were deficient in vitamin D, whereas almost two thirds (61%) of women with a BMI of 30 and above were deficient in vitamin D.
The babies born to the obese mothers were also more likely to be deficient in vitamin D.
Because our main source of vitamin D comes from exposure of the skin to sunlight, and in the UK there is only a limited amount of the correct wavelength sunlight, mostly during summer, reserves of vitamin D in the body run low, especially over winter. Vitamin D is only found in foods in very small amounts, and not enough to make up for the deficit, hence the recommendation of a supplement. Vitamin D capsules/tablets be bought relatively cheaply in supermarkets and health food stores. You are also more likely to suffer from vitamin D deficiency if you have darker skin, or if you tend to spend most of your time indoors away from sunlight or cover up when outside. There have so far been no studies to support the current advised dose of 10μg, but fortunately vitamin D seems relatively harmless, and cheap, which may explain the RCOG’s keenness to recommend its use without any strong evidence to support the amounts recommended.